Welcome to SavingIceland.org! If you are new to our site you can begin with having a quick look at the About Us section and then read the S.O.S. and the Saving Iceland Mobilisation Call-Out. Iceland Under Threat shows the wilderness we need to protect and the corporations bent on ruining it. Make sure to enjoy our video and photo galleries, our in-depth magazine Voices of the Wilderness and follow our Twitter feed to keep up to date. And last but not least get some answers to Frequently Asked Questions. In times of runaway climate change, phasing out fossil fuels and increasing the share of renewables is imperative. But this transition is not without pitfalls as shown by a recent study of two large renewable projects in Iceland. The recent IPCC report has made it clear that we need to change our energy supply from fossils to renewable energy if we want to avoid catastrophic climate change. This transition has to happen now and it has to happen fast. The good news is: renewable energy is a wonderful thing. As countless studies have shown, it can be cheap, low-carbon, good for regional development, and bring about great benefits for local people. But, our new research cautions that these benefits are not inherent to renewable energy development and that each project needs to be carefully assessed on its merits. Through a case study in Iceland, we show how the “green” image of renewable energy sometimes makes the public overlook the negative impacts of these technologies. As a result, some of Iceland’s renewable energy resources have been misused to generate private profits for companies outside of the country. While, the benefits for the local population are, at best, questionable and large areas of unique nature have been lost forever. In the study, which was recently published in the journal Environment and Planning E: Nature and Space, we investigated the impacts of two large-scale power projects built recently in Iceland: the Kárahnjúkar hydropower project in east Iceland, and the Hellisheiði geothermal plant in the southwest. They are the biggest power plants of their kind in the country. For our investigation, we analysed scientific literature, and we looked at homepages, reports and statistics. Finally, we interviewed 18 actors from the Icelandic energy sector (5), politicians (5), and experts from NGOs (3) and academia (5). We found that the two projects were the outcome of an aggressive industrialisation strategy driven by successive Icelandic governments over a number of decades, which have essentially used the country’s renewable energy sources to prop up other environmentally damaging industries. This strategy entailed minimum environmental regulations, guaranteed low-energy prices, and an industry-friendly tax regime, designed to attract heavy industry, in particular power-intense aluminium smelters to Iceland. As an incentive, the Icelandic government, together with the country’s publicly owned power company Landsvirkjun, promised to provide the required energy from renewable sources, namely hydro and geothermal, to companies that agreed to set up factories in the country. This “clean” energy option was offered at very competitive rates and with a guarantee of supply for several years. Let’s look at each project in turn to see what went wrong and what lessons can be learnt. In the early 2000s, large amounts of public money went into the energy sector to live up to the promises made to private sector investors. One of the following projects is the Kárahnjúkar hydropower project. It consists of several reservoirs, tunnels, and the Fljótsdalur power station. It generates approximately 5,000 GWh per year, accounting for more than one fourth of all electricity produced in Iceland in 2016. All of this energy is used to power a big aluminium smelter built by the global company, Alcoa, on the east coast of the country. The project serves as an illustrative case for two phenomena: First, it shows how the green label of renewable energy can be misused to justify a costly and arguably quite destructive industrialisation. Second, it shows what can go wrong if a small country makes deals with a big transnational company whose decisions are predominantly driven by the hunt for economic profits. The power plant and the power-intense aluminium smelter must be seen as interlinked projects, because Alcoa’s commitment to build the smelter was the precondition for the power project going ahead, and vice-versa. The Icelandic government at that time hoped that the development would boost the regional economy in the East of the country. To support this goal, the minister of the environment overrode the environmental impact assessment that vetoed the hydro energy project because of its destructive impact on the local environment. With the Kárahnjúkar project, unique geological formations and landscapes in and along the Hafrahvammagljúfur canyon were irredeemably lost and downstream ecosystems suffered negative impacts that are yet to be fully understood. 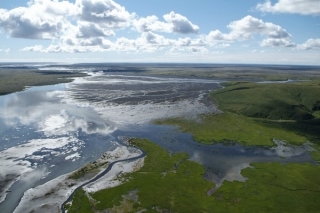 For example, the local fish population in Lake Lagarfljót collapsed and Iceland’s wild reindeer population lost part of its grazing and breeding grounds. Who benefited from the projects? The contract between Landsvirkjun and Alcoa turned out to be unfavourable for the state-run energy company. The energy prices paid by Alcoa are extremely low and tied to the volatile global market prices for aluminium. This makes revenue for Landsvirkjun very low and unpredictable. In addition, Alcoa practiced a model of transfer pricing in Iceland to avoid paying the dues taxes in Iceland. This means that the local operation owes a great deal of money to its parent company based in Luxembourg. And so far, the local smelter has not generated any taxable profits, as all revenues are used to pay off the immense debt. The sad news has come with us that our Icelandic friend and comrade Haukur Hilmarsson, nom de guerre Sahin Hosseini, has fallen in the battle of the Kurdish city of Afrin. He was killed in battle against the Turkish invaders, as a commander in the International Freedom Battalion (IFB) fighting alongside the Kurdish YPG. We’ve heard from his Battalion that he first joined in the struggle against IS about a year ago. After his first attempt to reach Rojava through Iraq, getting arrested and deported back to Iceland, he travels straight back and fought in the battle for the liberation of Raqqa. He was loved and appreciated and was given the rank of Commander. When the Turkish army invaded the northern Syrian border, he hurried once again to the defense of the Kurdish revolution. Haukur, our hearts are full with pain and pride. You were truly beautiful, inspiring, loving, raging, rebelling, an unstoppable force. A storm which we had the fortune to have intertwined with. We’ve got to know you through our shared love of the wild Icelandic landscape and the actions in defense of its destruction by the aluminum industry. The memories of running through the fields, blocking digging machines, climbing cranes and raving through the streets of Reykjavik. It feels like a lifetime ago, yet you have an unforgettable impression and we feel lucky to consider you as our friend. Even though the years drove us apart and it was hard to keep in touch, we’ve always carried you in our hearts and minds. With smiles on our faces we watch the images of the Icelandic parliament during the mass protests, and raising the flag of a discount supermarket. A true Anarchist who stood together with your friends at the beginning of the Icelandic anarchist movement. Through all your outrageous ideas and actions, like running on the airport to stop an airplane from deporting an “illegal” immigrant (and even managing, by chance, to block the right plane and stop the deportation), you always had the same smile on your face. A grinning devious smile that’s said “let’s get into trouble”. And it caught on everyone. When we saw the picture of you in camouflage clothes, with the rifle resting easily on your lap, it was not that same expression on your face anymore. There was a sense of ease in your eyes. A small awkward smile towards the camera. But mostly a sense of being in the place where you could be burning inside yourself. That face was still so much, and it brought tears to our eyes and also brought pride to our hearts. We would have loved to sit aside with you for many more years. But lives fully lived do not always measure out in time. It is measured by the wind of desires, like a chilly breeze sliding over a field of grass. By the sudden goosebumps in a dark night from the afterglow of a raging and loving fire. In those moments you remind us that you can, and should be, the sum of one’s desires and dreams. To keep standing up for that which you believe to be right. And to keep fighting. No matter where your fight lies, and where the fight will take you. A battle reaching though space and time. Like the poem written by a fighter in the international brigade in the Spanish Civil war against the fascists. Dear Haukur. We will miss you with all our hearts. Our thoughts are with your mother, your family, friends and everyone whose life was touched by you in your 31 years on this earth. We will carry you with us forever. When it comes to loving where you’re from, Iceland has a fantastic international reputation for its widespread use of renewable energy, its untouched landscapes and its sustainable environmental policies. But just how true is Iceland’s positive attitude to the environment? How are phenomena such as climate change, heavy industry and tourism affecting the landscape, the wildlands, the glaciers and the seasons of the country? Most importantly, how are the Icelandic people responding to these threats, if at all? There can be no denying, nor any hope of denying, Iceland’s staggering aesthetic beauty. Icelanders themselves are quick to point out their spiritual connection to the land, understandably proud and protective of their country’s many highlights; its geological marvels, breathtaking panoramas and stunning natural scenery. In 1969 the first of three aluminium smelters was built in Iceland at Straumsvík, near Hafnafjörður, on the South West side of Reykjavík by Alusuisse (subsequently Rio Tinto-Alcan). In 1998 a second smelter was constructed by Century Aluminum (now a subsidiary of controversial mining giant Glencore), at Hvalfjörður near Reykjavík, and in 2007 the third, run by Alcoa, was completed at Reyðarfjörður in the remotely populated East of the country. 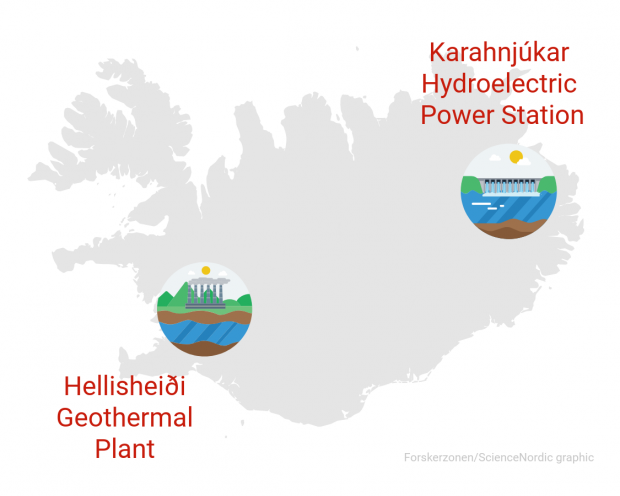 The Icelandic Government had been advertising the country’s vast ‘untapped’ hydroelectric and geothermal energy at ‘the lowest prices in Europe’ hoping to attract jobs and industry to boost Iceland’s already very wealthy but somewhat fishing dependent economy. 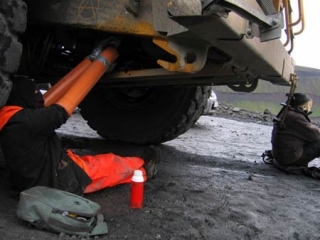 The industry, which would permanently change Iceland’s landscape with mega-dams, heavy industry scale geothermal plants and several kilometer long factories, was promoted by the Icelandic Government and the aluminium companies as ‘good employment for a modern age’. However, ten years after the flagship Alcoa Fjarðaál project was completed, unemployment is higher than it was in 2005, and Iceland’s economy has become dependent on an industry which is vulnerable to commodity cycle slumps and mass job losses. Worse, the price charged for Iceland’s energy is tied to the price of aluminium and analyses of the country’s 2008/9 economic crisis suggest it was exacerbated by the poor terms of Iceland’s late industrialisation. Yet demands for further industrialisation remain, and more than 1000 Icelanders are employed in the aluminium sector. Iceland’s recent general election shows that the country’s neoliberal consensus is over. What happens next? When the Icelandic parliament assembled in fall of 2010, tens of thousands gathered to throw eggs and rotten tomatoes at the politicians. The MPs were participating in a traditional march between the cathedral and the parliament building that marks the beginning of each legislative setting. Protesters repeated their performance exactly a year later, now with an even larger crowd. Armand, the famous Dutch protest singer and a great friend and supporter of Saving Iceland, died on 19 November at 69 years. Saving Iceland remember him with great affection and gratitude for his friendship and his love of Icelandic nature. Armand, whose name was George Herman van Loenhout, only spent two days in hospital with pneumonia before he died. Since childhood he had suffered from asthma and was not expected to live beyond 20. Hence Armand called “every day a bonus.” “I’ve already had 49 additional years, so I can not complain,” he said earlier this year. During a career lasting fifty years Armand wrote and recorded at least eleven solo studio albums and dozens of singles. One of his greatest hits was “Ben ik te min” (Am I not worthy?) which stayed for 14 weeks in the Dutch Top 40 in 1967. 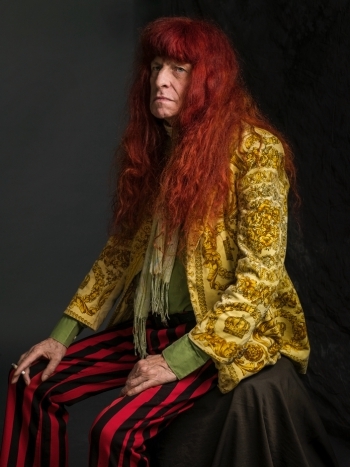 Armand was writing and performing to the very last. Some recent collaborations were with young Hip-Hop artists Nina feat Ali B & Brownie Dutch, and recordings and performances with Dutch band De Kik. Armand traveled extensively around Iceland and wrote several songs in support of the fight against the corporate energy projects and heavy industry endangering the Icelandic environment. For us here in Saving Iceland it was a real privilege to witness the professional way in which he approached the writing of his lyrics and his genuine concern for accuracy and proper research of the Icelandic situation. Not to mention his warmth and humour, and irreverence for authority. Although it is with great sadness that we salute our dear friend Armand, we can proudly testify that he lived a life full of song and colour, and that he was an inspiration to generations. Time to Occupy the Smelters? Icelanders are notoriously bad investors. Once someone has a business idea, everyone jumps on the wagon and invests in exactly the same thing. The infamous growth of the banking sector is one example, before the 2008 banking crash the Icelandic banking sector was 12 times the size of the GDP and Iceland was supposed to become an international financial centre. I have no idea how anyone got the idea that an island with three hundred thousand inhabitants could become an international financial centre, but many people in Iceland considered this a perfectly normal ambition. And then there are the politicians, they have had the same investment idea for more than hundred years. Either it is building an artificial fertiliser factory, or it is building an aluminium smelter. Last year one MP proposed building an artificial fertiliser factory, in order to “lure home” young Icelanders who have moved abroad. A majority of those have moved abroad to educate themselves, but sure, who doesn’t want to use their PhD on the factory floor? Now there is an Icelandic investor in the North of Iceland, Ingvar Skúlason, who is planning on building an aluminium smelter, at a time when aluminium prices have been dropping due to overproduction. He has already managed to sign a deal with a Chinese company, NFC, which is willing, he says, to pay for the whole construction, yet the smelter would be owned by Icelandic companies. All of this sounds kind of dubious in my ears. 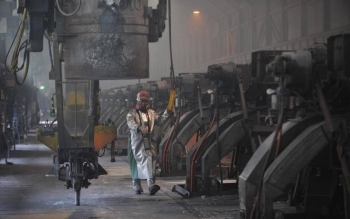 And everyone can see that this is not a good idea, even the banks, with a new report released by Arion Bank advising against more investment in the aluminium industry. The bank bases its analysis on the fact that aluminium price is too low at the moment to bring any profit into the country (since the price for the electricity is connected with the price of aluminium, the price the aluminium smelters pay to the National power company (LV) is low when aluminium prices are low). But that does not stop the politicians from supporting the idea. The prime minister Sigmundur Davíð Gunnlaugsson, was present when Skúlason signed a deal with the Chinese company, praising the initiative. Skúlason also claims to have support from the Minister of Industry, which is not surprising since her only campaign promise was building an aluminium smelter and get the “wheels of the economy rolling”. Recently, Alcoa World Alumina, owned by Alcoa Inc., admitted to having bribed officials in Barein. In Iceland, however, they have never had to pay any bribes. Icelandic officials have been more than willing to do their service for free, “bending all the rules” as Friðrik Sophusson, former head of LV, was caught on tape saying. There are currently three aluminium smelters in Iceland. Together, they use 80% of the energy produced in the country and their profit account for 60 billion ISK a year (USD 500 million). Yet, a majority of the profit is registered as debt to their parent companies abroad, leaving the Icelandic subsidiaries operated in debt but creating profits to the parent companies. The only profit that is left in the country is the wages they pay to their employees, and that only accounts to less than 1% of the national revenue. The jobs they create (which is usually the main argument for their construction), also account for less than 1% of all jobs in Iceland. The price they pay for the energy is also below the normal market price. Lets think about this for a second: 80% of the electricity produced in the country goes to international corporations that only produce 1% of the national revenue and creates 1% of the jobs, exports the majority of the profits and pays below-market price for the energy. So, 99% of the people do not get any share in the majority of its electricity production. Sounds familiar. Maybe it is time to occupy the smelters? Does Living Next to a Geothermal Power Plant Increase Your Risk of Dying? 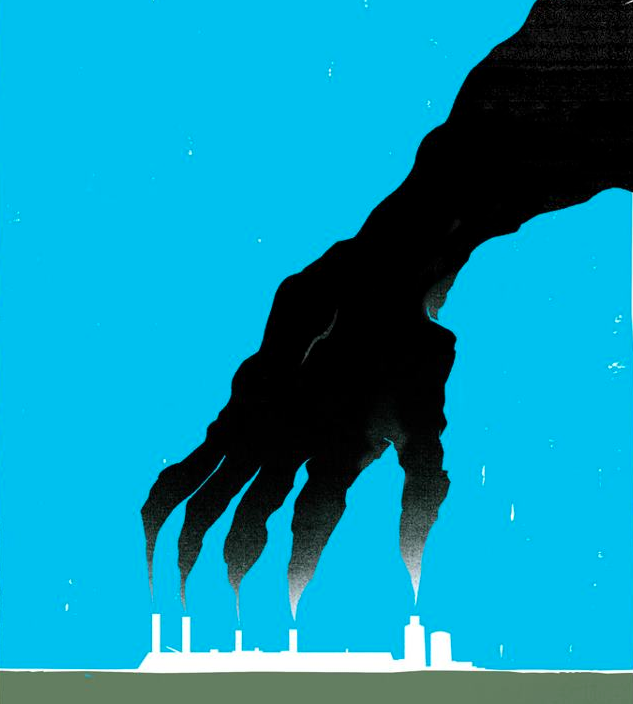 In a recent report published in the Lancet it is claimed that switching to “clean energy” from fossil fuels will not only have beneficial effects on the environment, but also on people’s health since carbon intensive energy technologies simultaneously produce air pollution. According to the Salon, the report estimates that air pollution from the UK’s power sector is responsible for 3800 premature deaths per year. In order to combat this we are encouraged to transition to low-carbon energy technologies. That is all fine and well, but what low-carbon technologies are we talking about exactly? Currently, the Icelandic National Power Company, Landsvirkjun (LV) is discussing the possibility of selling “clean” and “renewable” electricity to the UK via submarine cable and, as far as we are informed, some investors are interested in the plan. Almost 100% of Icelandic electricity is generally classified as renewable energy and therefore viewed as “low carbon” or “clean energy”. There has been heated debate in Iceland surrounding further exploitation of its energy sources, which has led to the creation of an Energy Master Plan, which is supposedly to create consensus on the exploitation of hydropower and geothermal energy. Out of 25 of the highest ranking energy options, 21 are geothermal power plants. Constructions and plans for most of them is already underway. The problem is that Geothermal Energy is not as “clean” as many would think, even though it is classified both as low carbon and renewable energy source. In fact, the production of electricity through the use of geothermal energy accounts to around 8 – 16% of Iceland’s CO2 release. However, Icelandic authorities do not consider those emissions anthropogenic and therefore do not count them as part of the country’s overall emissions. A recent research by Ragnhildur Finnbjörnsdóttir, shows a correlation between increased numbers of death in Reykjavík and increased levels of hydrogen sulphide (H2S) from geothermal plants. The research was conducted between 2003 and 2009, and shows a 2-5% increase in deaths shortly after elevated levels of hydrogen sulphur. According to Finnbjörnsdóttir, hydrogen sulphur does not necessarily lead to any specific disease, but increases the seriousness of diseases people already suffer from. 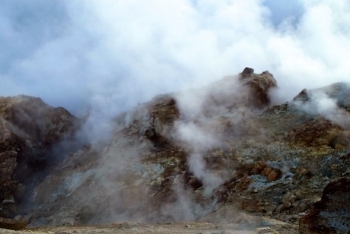 Geothermal power plants emit hydrogen-sulphide (H2S), which is both corrosive and very toxic. H2S forms sulphur-dioxide (SO2) in the atmosphere, which can cause respiratory problems and asthma, as well as acid rain. 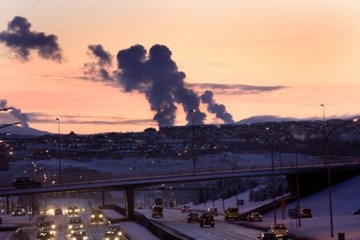 From 1999 to 2012, the levels of SO2 in the Reykjavík area have risen by 71%. and in 2012, 80% of the SO2 released in Iceland came from Geothermal power plants. In 2013 it was estimated that a year later the geothermal power plant in Hellisheiði, around 30 km from Reykjavík, would not be able to control H2S release under health regulation standards. Exact figures of H2S release from the power plant have not been released and due to a long standing volcanic eruption in Holuhraun in 2014, SO2 levels were elevated throughout the whole year, with the levels of SO2 at times reaching such levels that people tried their best to stay indoors. More research on the health impact of SO2 from geothermal plants is needed, but a correlation between medicine costs and SO2 levels has already been established. 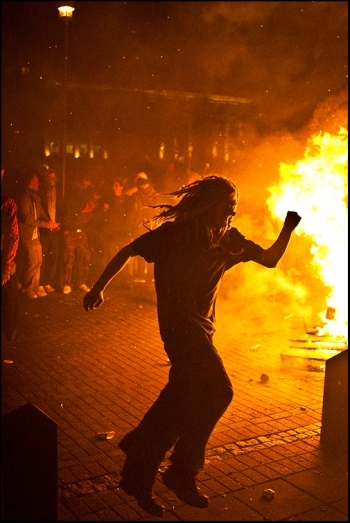 In a 2010 study, Carlssen shows that in easterly winds in Reykjavík (blowing from the geothermal plant towards the city), medication costs rise by 2%. In addition to the medical costs, the SO2 levels also lead to increased corrosion of metals, increasing the costs of replacement of circuit boards and other complicated electronics. says the Lancet report. However, I do not recommend switching to geothermal energy if we are to avoid pollution-related deaths. 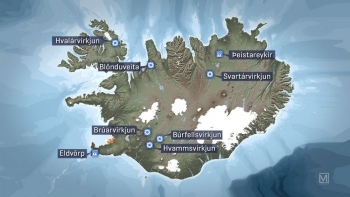 Last week’s Thursday, the majority of Alþingi’s Industrial Affairs Committee (AIAC) announced its intention to to re-categorize eight sites as “utilizable” options for the construction of hydroelectric power plants. These have until now been categorized, either as for preservation, or as on “standby”. These are categories defined by the Master Plan for nature conservation and utilization of energy resources, as bound by law. The re-categorization would serve as the first legal step towards potential construction. The proposal had neither been announced on the committee’s schedule, before its introduction, nor introduced in writing beforehand. The committee’s majority gave interested parties a week’s notice to submit comments on the proposal, which is admittedly faster than we managed to report on it. As the proposal was introduced to Alþingi, members of the opposition rose against the plans. Róbert Marshall, Alþingi member in opposition on behalf of Bright Future, has called the lack of process “deadly serious” and “a war declaration against the preservation of nature in the country”. Steingrímur J. Sigfússon, the Left-Greens’ former Financial Minister, concurred, calling the proposal the end of peace over the topic, as did the former Environmental Minister on behalf of the Left-Greens, Svandís Svavarsdóttir, who called the proposal “a determined declaration of war”. Katrín Júlíusdóttir, former Minister of Industry, on behalf of the Social-Democrats’ Coalition commented that the proposal was obviously not a “private jest” of the committee’s chair, but clearly orchestrated by the government as such. Lilja Rafney Magnúsdóttir, the Left-Greens’ representative in AIAC, and the committee’s vice chair, condemned the proposal. According to her, Minister of the Environment, Sigurður Ingi Jóhannsson, specifically requested fast proposals on these eight options. She says that she considered the data available on all options to be insufficient, except for the potential plant at Hvammur. That same Thursday, the Icelandic Environment Association (Landvernd), released a statement, opposing the proposal. According to Landvernd’s statement, five of the eight options have were not processed in accordance with law. Landvernd says that the proposal “constitutes a serious breach of attempts to reach a consensus over the utilization of the country’s energy resources.” It furthermore claims that the AIAC’s majority thereby goes against the Master Plan’s intention and main goals. Landsvernd’s board says that if Alþingi agrees on the proposal, any and all decisions deriving thereof will “constitute a legal offense and should be considered null and void”. Guðmundur Ingi Guðbrandsson, Landvernd’s manager, has since stated that if the plans will proceed, the high lands of Iceland will become a completely different sort of place. The Iceland Nature Conservation Association (INCA) also opposes the plans. The association released a statement, pointing out that if current ministers or members of Alþingi oppose the Master Plan legislation, they must propose an amendment to the law, but, until then, adhere to law as it is. Mid-October, Environmental Minister Sigurður Ingi Jóhannsson already proposed re-categorizing one of the eight areas, “the plant option in Hvammur”, as utilizable. This was in accordance with proposals made by AIAC last March. 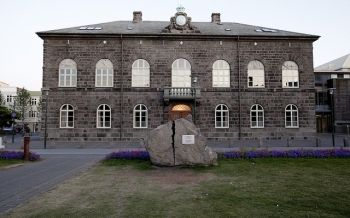 Leaders of the parties in opposition then objected to the decision-making process, saying that such proposals should be processed by Alþingi’s Environmental Committee before being put to vote. The Hvammar plant would produce 20 MW of power. The other seven options to be re-catogorized are: the lagoon Hágöngulón (two options, totalling 135 MW); Skrokkalda, also related to Hágöngulón (45 MW); the river Hólmsá by Atley (65 MW); lake Hagavatn (20 MW), the waterfall Urriðafoss (140 MW); and Holt (57 MW). The last two, as well as the plant at Hvammur, would all harvest the river Þjórsá, the country’s longest river. The eight options total at 555 MW. The latest power plant construction in Iceland took place at Kárahnjúkar. The 690 MW hydropower plant at Kárahnjúkar is the largest of its type in Europe. It fuels Alcoa’s aluminum smelter in Reyðarfjörður. The largest power plant in the country before Kárahnjúkar, was the Búrfell hydropower plant, on-line since 1969, at 270 MW. The Icelandic government and the national power company Landsvirkjun committed to the dam’s construction in 2002, which was concluded in 2008. The total cost of the construction was around USD 1.3 billion. The largest contractor was the Italian firm Impregilo. The construction was heavily contested, for its environmental and economic effects, for the treatment of the workers involved and for a lack of transparency and accountability during the prior decision- and policy-making process. At least four workers were killed in accidents on site, and scores were injured. “I have worked on dam projects all over the world and no-one has even been killed on any of the schemes. To have this number of incidents on a site is not usual,” commented International Commission on Large Dams (ICOLD) vice president Dr Andy Hughes at the time. Is Fluoride Hurting Iceland’s Farm Animals? Some farmers suspect fluoride from aluminium smelters is making animals sick, but the companies sharply disagree. Reykjavik, Iceland – For the third summer in a row, hydrogen fluoride has been detected in vegetation samples taken near an aluminium plant in eastern Iceland, worrying farmers and horse owners who fear for their animals’ well-being. Aluminium plants emit fluoride, a chemical element that can be toxic to animals and humans in high concentrations. The Environment Agency of Iceland found the concentration of fluoride in grass grazed by sheep exceeded the recommended limits near the town of Reydarfjordur. Sigridur Kristjansdottir from the Environment Agency told Al Jazeera the high levels this summer were “primarily due to meteorological and geographical factors … This resulted in the results for early June showing relatively high values”. A press release issued by the Alcoa Fjardaal aluminium plant noted that, despite the spike this summer, average fluoride levels this year are lower than they were in 2013, which in turn were lower than in 2012. Fluoride is a cumulative poison, meaning that animals and plants often register higher levels of the element as they age. Before the Fjardaal aluminium smelter began operation, the fluoride level in Sigurdur Baldursson’s sheep – who live on the only farm near Alcoa’s plant – were measured as having 800 micrograms per gram (µg/g) of fluoride in their bone ash. That’s well below the recommended limit of 4,000 µg/g in the bone ash of adult sheep, or 2,000 µg/g for lambs. But samples taken in 2013, recorded the sheep’s fluoride levels between 3,300 and 4,000 µg/g. Baldursson said he expects the next readings to exceed 5,000 µg/g – above the recommended limit. “The sheep that will be sampled next were born in 2007, and are thus as old as the aluminium plant itself,” he told Al Jazeera. Nevertheless, Baldursson said he has not noticed signs of ill health in his sheep. Bergthora Andresdottir sees things differently from her farm on the other side of Iceland, 25km north of the capital Reykjavik. She said she is constantly phoning the Environment Agency to complain about smoke rising from Century Aluminium’s smelter at Grundartangi, directly across the fjord from her farm. In August 2006, an accident at the Grundartangi plant caused a large amount of fluoride emissions. 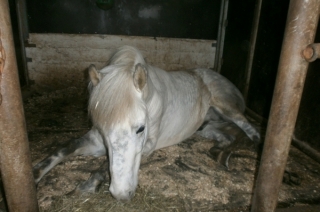 Riding school owner Ragnheidur Thorgrimsdottir said local farmers were never told about this accident, which meant that sheep, cattle and horses ate fluoride-contaminated grass. “I only heard about it by accident, two years later,” she told Al Jazeera. That same year, the capacity of the Century plant was increased from 90,000 tonnes of aluminium a year to 220,000. The firm HRV Engineering stated “the increase in fluoride for the autumn months of 2006 in the atmosphere … can partly be traced to the increase in capacity of the smelter”. Thorgrimsdottir lives about five kilometres southwest of the Grundartangi plant, and owns 20 horses – which she said have been badly affected by fluoride, some so badly that they have had to be put down. 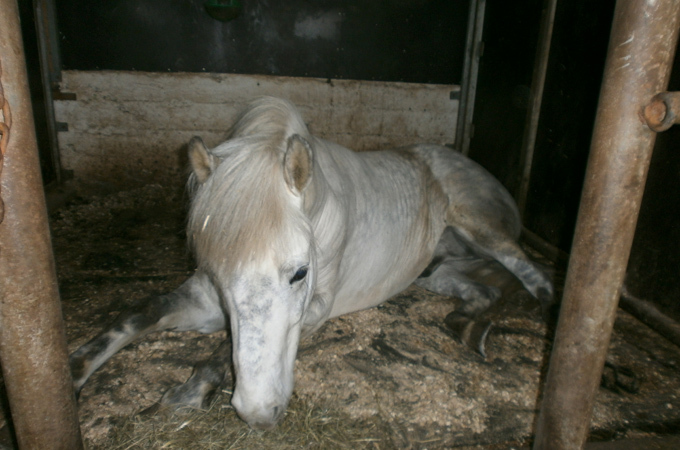 “This is the eighth year in a row that my horses have been sick. Currently three of them are sick, but I’m also keeping an eye on four more,” she told Al Jazeera. Instead of keeping her horses outside all the time, as is the norm during Icelandic summers, she has kept them in at night and given them hay to eat because they do not digest grass properly.